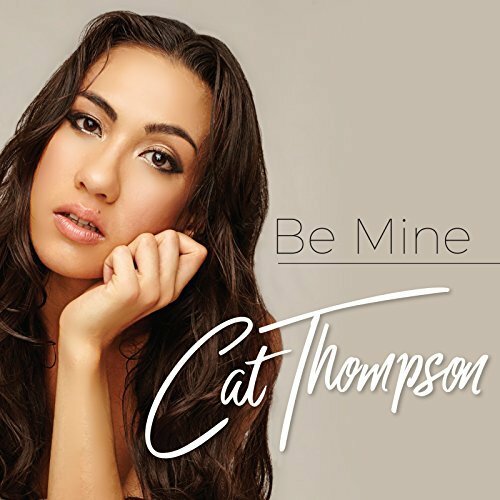 “Be Mine” will quickly gain status as one of 2018’s best pop singles thanks to the chemistry struck up between producer Khaled and singer/songwriter Cat Thompson. Hailing from Australia, the Northern Irish and Filipino performer has commanded both national and international stages opening for performers with a global presence. She’s learned those lessons well. “Be Mine”, coming on the heels of her last successful single “All I Want”, shows her growing confidence as both a vocalist and performer and undoubtedly will fluently translate over to the stage. She’s renowned as a electrifying live performer and this song provides her ample opportunity to enhance her stage show with another sure audience pleaser that, likewise, allows her to show her growing range as a musical artist. She’s currently working on her next EP release and, if “Be Mine” is an early hearing of what’s in store with that outing, we can bet on Cat Thompson’s continued ascension into the upper echelons of the modern pop world. She is born aloft higher and higher into rarefied air thanks to an astonishingly complete talent. Thompson definitely has a voice with commercial appeal, but it reaches far beyond merely entertaining casual fans with some spending power. Instead, she has fantastic emotive talents that bring these lyrics to life in such a way that it imbues “Be Mine” with equal parts passion and desperation. The stakes are high for her to consummate the desire in the heart of the song’s title and she makes listeners believe with every line. “Be Mine” runs a little under three and a half minutes long and there isn’t a second of wasted musical effort during the entirety of the song. If anything, Thompson and her musical partners demonstrate a clear ear for hearing exactly what this song needs and resisting any temptation to transform it into something cruder, more overwrought. Some listeners will be surprised by the light sophistication and understated planning that goes into this performance. Rather than just relying on rhythms and groove to make her musical point, the arrangement for “Be Mine” places just as high of a premium on melody as it does R&B swing and the result gives “Be Mine” a distinct flavor lacking in much of the genre. Cat Thompson is clearly, to some extent, attempting to craft out her own space in the modern pop scene and this is a critical step in that direction. She remains quite connected to what her target audience is listening for in performances like these, but it’s equally apparent Thompson is fixed on delivering performances and songs that satisfy her heart before anyone else. The obvious emotional velocity she brings to this material and the intelligent, never busy backing she benefits from makes “Be Mine” one of the best pop singles I’ve heard in quite some time. It’s a tasty preview of what’s to come with her soon to drop EP and a brilliant standalone in its own right.